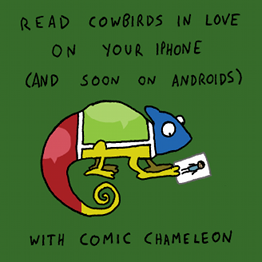 Today’s comic highlights two issues in cowbird evolution. The first is the question of how exactly figure out that they are cowbirds and not the same species as their parents. It’s kind of an open question right now though there are some cool papers about it. As you can imagine, the fitness of birds that raise cowbird babies takes a hit, but until those species evolve rejection strategies for kids that aren’t theirs, they are perfectly willing to raise those kids. Also, chipping sparrows are adorable.